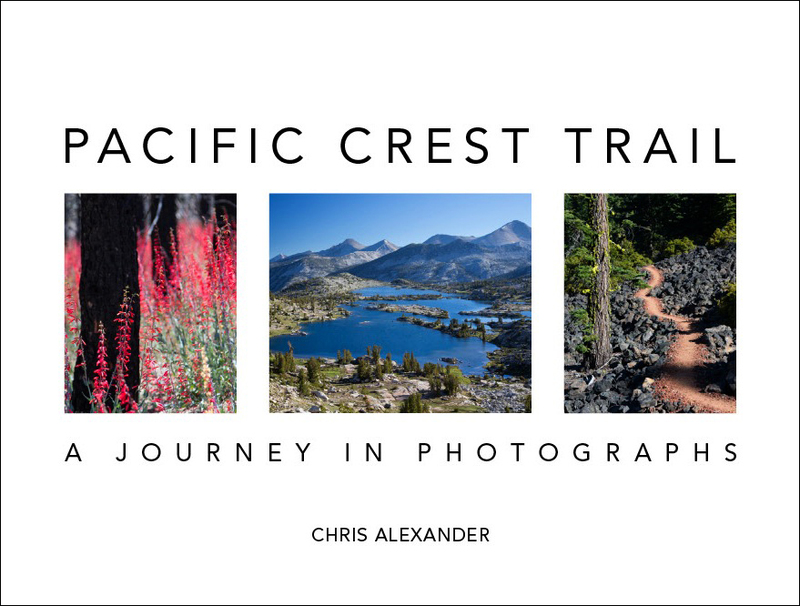 Our thru hike of the Pacific Crest Trail taught us many things. Here are five of the most important lessons we learned on the trail. Senses awaken in nature. After years of living in a city, our minds subconsciously created filters to deal with the contant jumble of sensory information. It was thrilling to remove those mental filters and reawaken our senses in the great outdoors. The crack of a distant twig alerted us to an elk, almost hidden in the forest. We could smell day hikers’ deodorant and laundry detergent from several feet away. Our eyes tracked the subtle movements of a soaring hawk adjusting to shifting air currents. The longer we lived in the wild, the sharper our senses became. People are good. On the trail, day hikers and trail angels gave us encouragement, kudos, and tasty food. 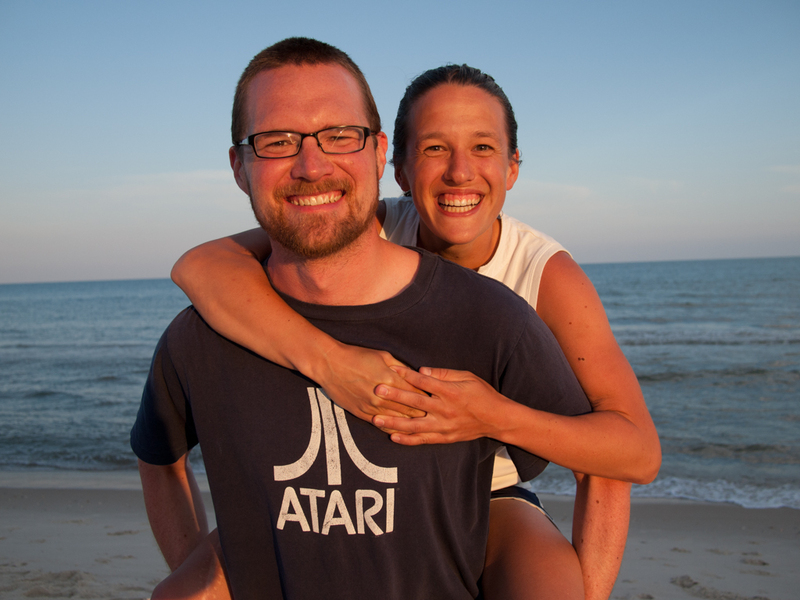 Other thru hikers shared our joy during good times, and cheered us up during harder moments. 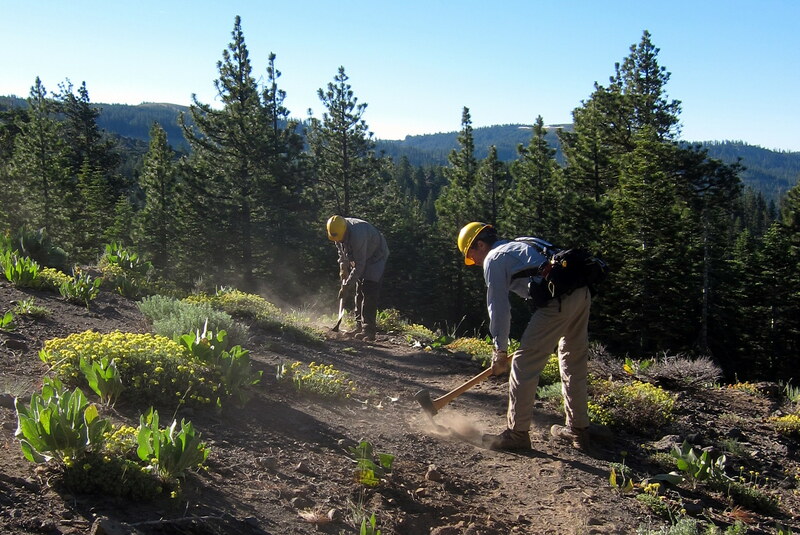 Crews of volunteers labored to maintain the trail. The people we met in the small towns along the PCT were incredibly friendly and accommodating. Strangers went out of their way to give us rides, find us rooms, and some even offered us their homes for a night. The kindness and generosity we received went beyond anything we could have expected. We saw the fundamental goodness of people during our thru hike. Hike your own hike. Hikers often tell each other to “Hike your own hike” (HYOH), recognizing a wide variety of backpacking preferences. We knew this phrase before starting the Pacific Crest Trail, but its meaning really sank in with a few hundred miles under our feet. HYOH worked for us in many small ways, such as our hiking pace — we walked slower than most thru hikers so we could take more pictures. But we also realized HYOH applied to larger life choices, such as our decision to continue hiking long trails, rather than immediately returning to desk jobs. To Hike Your Own Hike is to allow yourself to do what works best for you and your passions, and to support others in doing what works for them. The result is greater happiness for everyone. Fewer possessions is freeing. We found that the less we had, the happier we were. Each possession was not only physical weight to carry, but also mental weight. Carrying just one set of clothes meant no decisions about what to wear in the morning. Instead of carrying chairs, which could break or get left behind, we sat on the ground or on logs. Taking only the food we needed made meal choices simple. We didn’t bring bowls and plates, all of which we’d have to clean. Rather we ate right from our pot. With less items to think and fret about, our minds could relax and be open to all the beauty around us. The simple lifestyle is truly freeing. Wilderness is home. As the weeks passed, we became more and more comfortable living in the desert, the mountains, and the forest. A primal part of us came to the forefront. Fresh air, clean water, and open space surrounded us and sustained us. As our relationship with the wilderness deepened, we felt more at home there than we did in civilization. We had not expected this, but it turned out to be one of the most powerful aspects of the hike. Great experiences! I would love to hear more about it, so thanks for sharing! I will share this with Buddhist friends, especially HYOH. A lesson I have been learning strongly of late! Glad you found some Buddhist resonance here, Margaret. HYOH can be challenging to practice, but it is very rewarding. I hadn’t heard the HYOH phrase before although while raising kids in Berkeley we use similar phrases often. Thanks for passing on that great bit of trail language ! HYOH does seem very Berkeley. We miss living there. Hiking vocabulary is really fun! You’re welcome, Malcolm. Glad you liked it! Wow! Thanks for sharing such wonderful lessons! The simplicity of life shines through! We’re excited to share, thanks! Simplicity is a real gift. Great! Hope you guys are well! We’ll be seeing you on the AT when you least expect it! Hi Skippy! We’re doing great, very busy with trip planning and working on the book. Hope you and Blueberry are doing swell. We’ll be looking for you hiding in the bushes along the AT! I concur 100% with your 5 lessons. My section hike on the PCT this past summer has helped me transpose the simplicity of trail life to the simplicity of home life. Bee Well and Bee Happy! Hey Beeman, always good to hear from you. How cool that you were able to bring back lessons from the trail into your everyday life. The wilderness has so much to teach. Thanks so much for pointing us to Gossamer Gear’s Trail Ambassador program. We’re excited to be part of it with you. Cheers! You’re welcome, Solveig. Great that you connected with this post! Excellent lessons to take to heart, thanks! 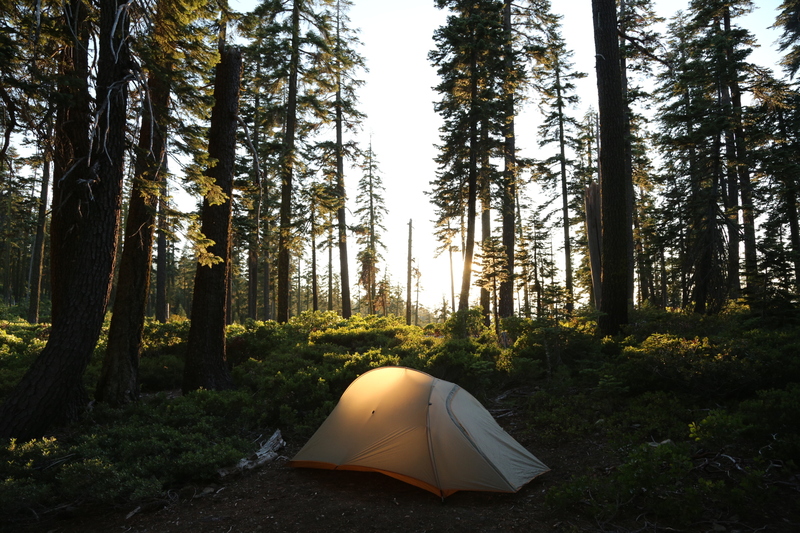 It’s amazing how time in the wilderness can help us enjoy the rest of life in more meaningful ways. Absolutely! Time in the wild can show us new parts of ourselves, or help us see the world from a new angle. Those observations stay with us after we return. Thanks Wildflower! We found it very fulfilling to share the journey as a couple. Best of luck to you both if you decide to do the same. Yes, it’s a wonderful feeling! This is really great, thanks a bunch. I went out for a short hike(nothing like you’re on) this morning, and just being out in the real life fresh air, being away for a bit it really awesome. Good good good luck! Thanks Ezra! Even just a taste of the natural world is refreshing. Any hike is a good one, short or long! Awesome, it’s great that you connected with these lessons. The day hikers probably thought we smelled too, but usually they didn’t mention it! Just finished catching up on your guys adventure. Great post and Fantastic pictures. Thanks. for making the time to post your story. I saw that you still had your bear canisters in Washington. And I did see the pics of bears. But reading so many other journals people only carry them when its required. If you get the time a couple questions. Did you carry the canister the whole way ? What was your mind thought on the reason to carry entire trip ? Thanks in advance. And also Congratulations on your journey. Thanks Don! We carried our bear canisters the whole way after our encounter with a problem bear in the desert. Canisters are the best way to ensure your own safety as well as the bears’ safety. A bear which gets into human food may have to be put down or relocated. Canisters are also convenient since you don’t have to worry about hanging food. Our Bearikade canisters worked great for us the whole way. Hi Nadia, thank you! So glad you love the lessons. No doubt we will wander your way in the future and we can catch up with you and Mark. All the best to you both! Awesome just awesome. It just goes to show that there are good people out there but not so many in the cities! The hard thing in a city is that the pace of life can be too fast for people to slow down and chat or get to know their neighbors. If you watch the news, you just see crime and violence, but we’ve found that once we get to know city folk, there’s a lot of goodness there too! Well said. Thanks for articulating these. Now to not lose the trail life when we’re not on the trail. I’m not sure I totally agree that people are good. I think people are people. And we have capacity for great good and great evil. In the microcosm of the trail, I like so many others experienced the care of trail angels and humbling kindness of complete strangers. I gave to and received from fellow hikers. But there were also hikers that caused problems for hosts and skipped out on tabs, There were thefts. There was wanton damage of campfires built in high fire danger and fire prohibited season, damage to trail markers, damage to trail tread. Fortunately, the good far outweighed the bad for me. I think trail life tends to bring out the best in people and discourage the worst. Anyway, your article got me thinking of a couple other lessons. — It’s not a race. — It’s not about the miles, but what happens between the miles. — There’s pain but that doesn’t mean there has to be suffering. Thanks for your thoughts, Brett. Our time on the trail helped us to see just how many good people there are out there. The news media tend to focus on bad behavior in order to get ratings, but for every bad act that’s reported, many more good ones go unreported. All those good acts enrich our lives tremendously. We agree that it’s best to slow down and smell the flowers (or photograph them). Increased attention creates a deeper experience, whether on the trail or on the street. I love the HYOH!!!! Doing something like this would be a dream come true! The hike was amazing, and we are glad to share some of the lessons we learned with others! Pretty cool. Thanks. I want to hike the A.T. next year. You post makes clear what is important. Glad you like, Dave. Time in nature has a way of clarifying what’s essential in life. Hope the AT works out for you! Well said. Time on the trail can allow us to see city life with a fresh set of eyes and adapt our lifestyle. Thanks for all of the valuable info and photos you have posted! My husband and I are planning to thru-hike the JMT and were wondering if you have opinions about the best month to hike it. I know you started in late April, but I wonder if looking back you would have done it later? Or what you think the general consensus is on the best month to start based on your research, experience, and talking with other fellow JMT’ers that may have done it more than once? I am a big believer in the Leave No Trace philosophy so I am also curious about how crowded/impacted you felt the trail was, particularly in the sections that are probably pretty popular in the summer time, like Yosemite and Kings Canyon? Did you feel like the permit system was effective in preventing crowding on the trail and protecting the environment? As an ecologist by trade, your thoughts on this last question would be greatly appreciated as I would rather pick another less popular thru-hike if it means having less of an impact on a particular place. Hi Liz, Glad you’ve found our site useful! 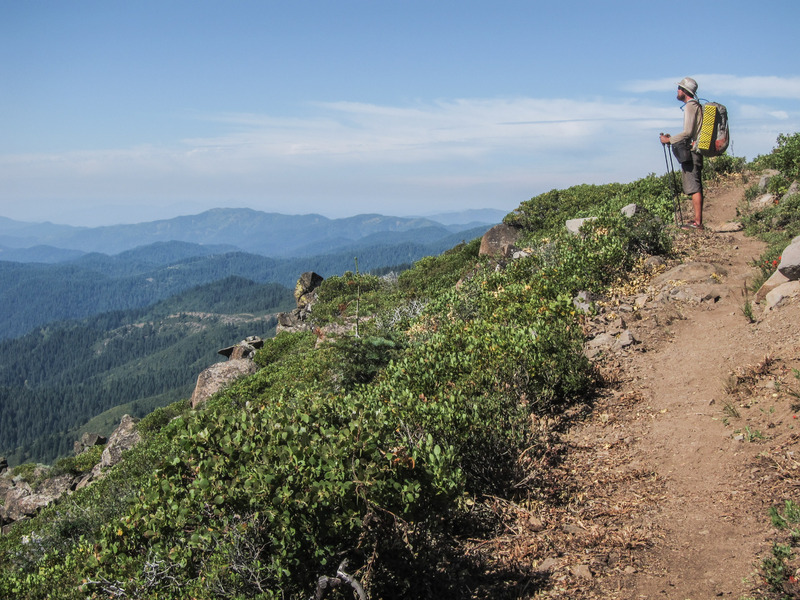 As you mention we started our Pacific Crest Trail (PCT) thru hike in April. We reached the section where the PCT and JMT overlap in early June. PCT thru hikers tend to hike that section in June because they must hike another 1,600 miles to reach Canada before the end of September (otherwise they’d risk more weather issues up north). The earliest I would recommend hiking the JMT is June, and even then you should be comfortable with snow travel and route finding. Other summer months may be preferable. 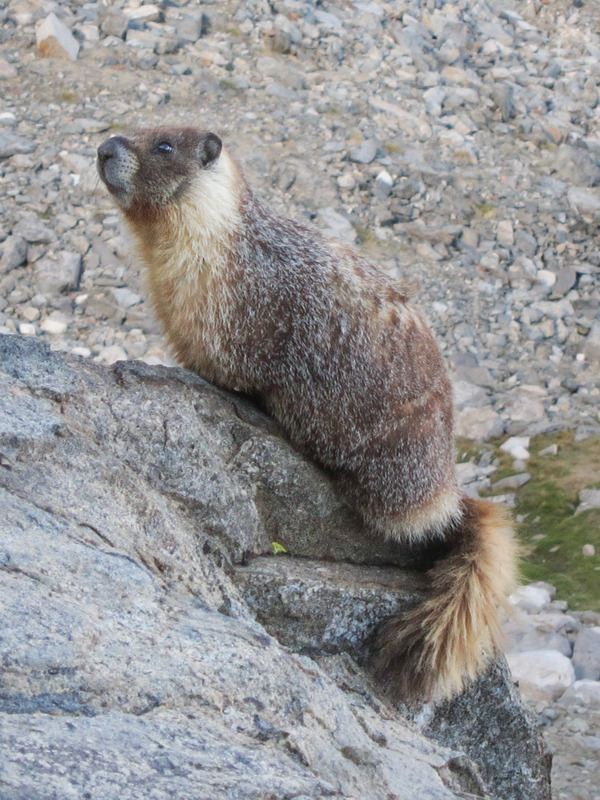 Check out the John Muir Trail group on Facebook to read other hikers’ thoughts on start time. More people hike the JMT than many other backpacking trails because of its splendor. “Crowds” are defined differently by different people. I’d say we saw about 30 people each day on the JMT in early June. The Appalachian Trail was more crowded. By contrast we’ve also backpacked in areas where we didn’t see anyone for days at a time. PCT hikers get one permit for the entire trail. I am not familiar with the JMT permit requirements. Most backpackers successfully practice Leave No Trace. Impact is generally confined to the trail and established campsites. Other areas are left untouched. Have a wonderful hike!